Airports at metros are emerging as the new high street location with a range of high-end brands in various categories including leather-based products, shoes, watches and accessories, which have opened outlets here. The reason – simple, a presence for retailers at the airport gives easy access to a large segment of premium consumers and the average purchase at these locations is greater than Rs 5.000, which helps to offset the comparatively higher store rentals. Retailers also highlight that departure and arrival lounges at New Delhi and Mumbai, have been significantly upgraded and it permits travelers to browse the wide repertoire of products with ease. 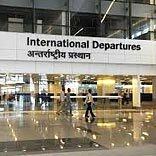 As a result, New Delhi's Indira Gandhi International Airport, both, T1 and T3 terminals, has 500 brands at its facilities spread over 3.23 lakh sq ft, while Mumbai’s Chhatrapati Shivaji International Airport has different ‘zones’ for consumer brands, F&B and travel services. It’s no surprise that Amarpali Jewels recently opened its first airport outlet at Mumbai, spread across 500-sq ft, and senior officials highlighted that the average purchase at this store is Rs 40,000, well above other brick-and-mortar stores in their chain across the country. They are not alone, and leading consumer brands including Hidesign, William Penn, Pavers England, WH Smith and Montblanc, along with the department store Shoppers Stop, which have recently expanded their presence at airports across the country. The retail sales at airports are growing, but retailers highlight the challenges faced in obtaining necessary security clearances and allied permissions for their staff. In addition, the logistical challenges they face on a day-to-day basis for replenishing their inventory in-store. Apart from that, on key national holidays, security at airports is considerably tightened, and the resulting challenges faced by both passengers and retailers. Nevertheless, with the number of air passengers rising each year, and the new government at the centre also expected to expand the network of airports in the country, retail sales in this segment are set to take-off.